A poetic mystery, a tale of desperate searches, of loss and love, visiting three generations and European historical events, all seen through the clever eye of a rural young man with an intense emotional register, especially for trees and nature, a register that will grow at a painfully quick pace as he unravels the past. 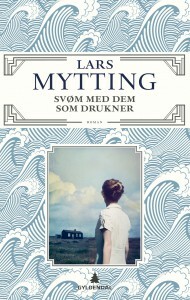 Written by bestseller author Lars Mytting, winning the Prize of the Norwegian bookseller association 2014. 110.000 copies sold just in Norway. Lars Mytting was born in 1968 in Fåvang, Norway. He worked as a journalist and editor for Norway’s largest newspaper Atenposten before writing full time. He has published three novels and a non-fiction book, which has been widely translated. His Hel Ved (Norwegian Wood) has sold over 230 000 copies in Norway and Sweden alone and spent more than a year on the non-fiction bestseller list in Norway.